At my visit to the Tesla Gigafactory, I met a few of the many women engineers who worked there. Image credited to Ajooni G.
In the past few years, the subject of women in engineering has come up more and more frequently. There are whole articles and even websites dedicated to the matter. 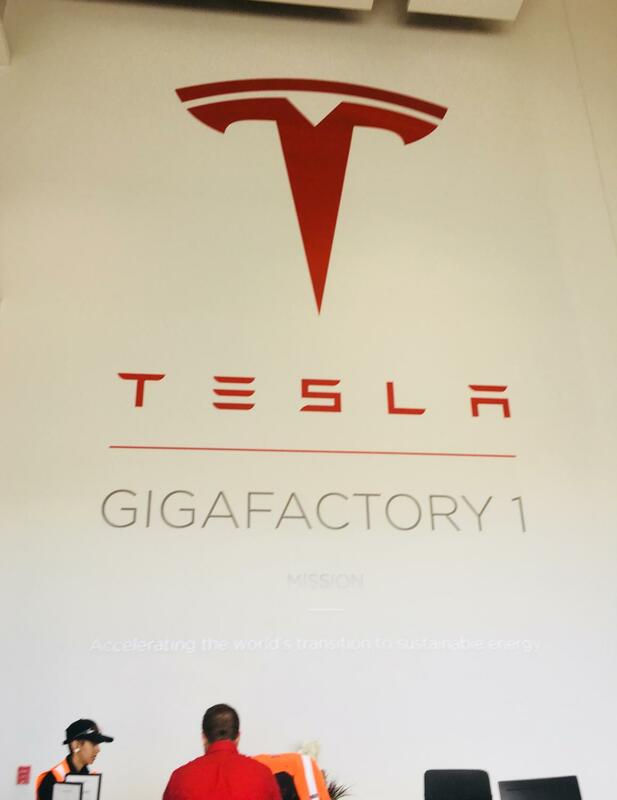 Over Thanksgiving break, I decided to dive into the topic, visiting Tesla Gigafactory 1 to talk to women engineers. 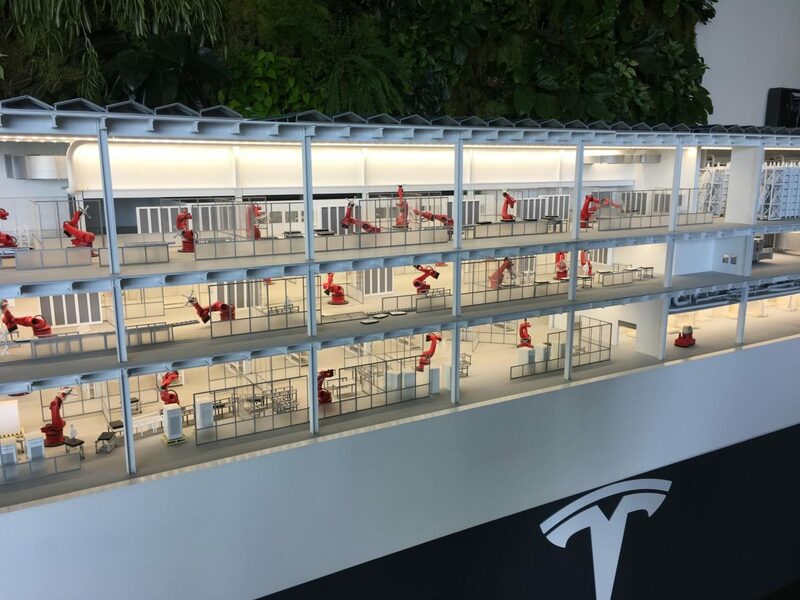 Amelia Celoza, a civil engineer, and Kristen Barclay, a project engineer, are just two of the many women who work at the Gigafactory as engineers. Women have found many ways to incorporate themselves in today’s engineering world, though it still remains one of the least popular fields for our gender. Many reasons explain why women are discouraged from becoming engineers. “It’s a systemic problem. Girls from a young age experience microaggressions. For example, asking a boy in the class to try the fix the VCR or fathers doing some things with their sons but not with their daughters. Little things like that discourage a good amount of the population [from pursuing engineering],” said Kristen Barclay. Female engineers, throughout schooling and in their workspace, are prone to experience prejudice, especially since there is such a small population of women compared to men that go into this field. Many male engineers do not realize this or even understand the harm they are causing with their words. Some girls are discouraged from engineering in fear of the bias they might experience. Both Kristen Barclay and Amelia Celoza told me that they have never explicitly experienced prejudice, but have witnessed it in their school and workplace. Ok, it’s not just the fault of men that females aren’t often seen as engineers. It’s also their own fault. Women tend to be more sensitive and “a bit too hard on themselves.” They discourage themselves because they think nothing will work out when one small thing goes wrong. “When you get to your first college class, if women get a B, they will switch majors, but if men get a B, they will take the next class,” said Kristen. But where has all of this self-criticism come from? Men? Family members? It’s the world in general. It’s not only discouraging parents and that one bully who told her she wouldn’t become anything. It’s society. Talks of feminism have popped up all over the internet. Talks of women becoming sports reporters. And even if they’re good ‘talks,’ women sometimes become afraid because they think that as soon as they step into that job interview, onto that stage, into that office, everything will blow up because of their gender. Those eyes will focus on every detail, every scratch that appears in the smooth surface of that woman’s reputation. It’s these scratches, no matter how small, that cause self-deprecation. “I think that women have to be more sensitive in the way they navigate the world because people view them differently, even though they shouldn’t,” said Amelia Celoza. If you’re a girl, and you want to be an engineer, don’t let the world get to you! There’s nothing that can bring you down but you. Meet female engineers, start early, and most importantly, if anything interests you, just go for it! “Start early, because the world will slowly crush you out of it if you don’t find that interest in yourself early,” said Kristen Barclay.